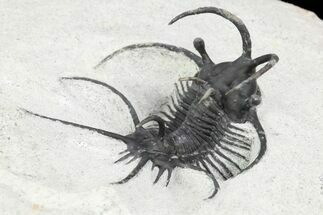 Here is nice example of the Devonian trilobite Cyphaspis walteri sometimes referred to as the "Devil Horn" Cyphaspis for obvious reasons. 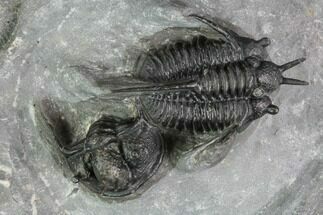 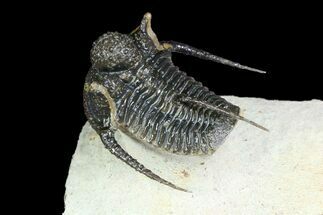 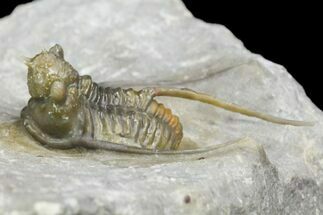 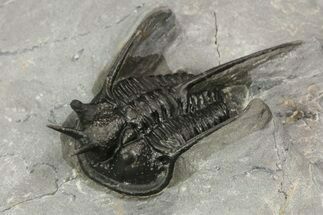 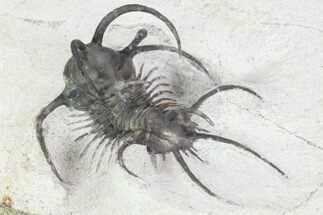 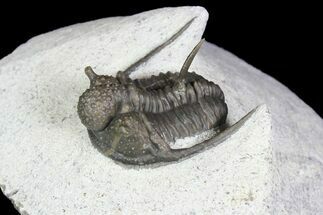 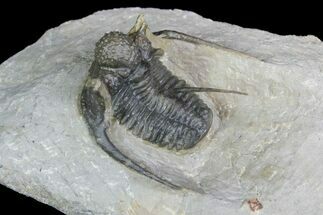 This is a nicely presented example of this spiny Moroccan Otarionidae trilobite. 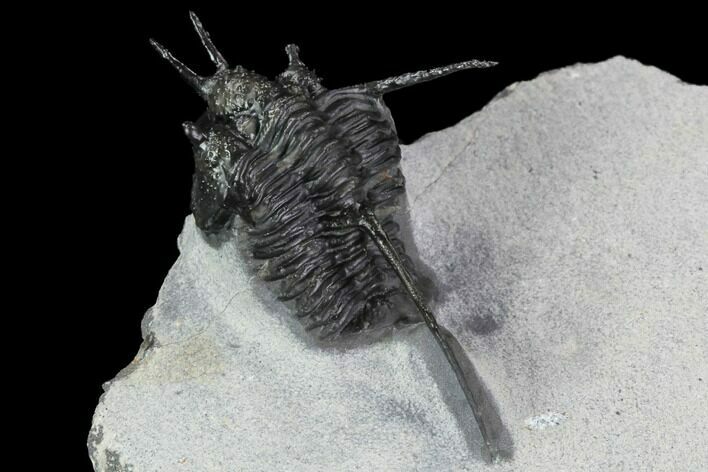 This species was finally formally described in 2014. 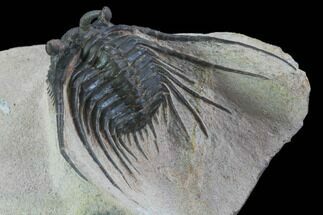 A link to the paper can be found below.